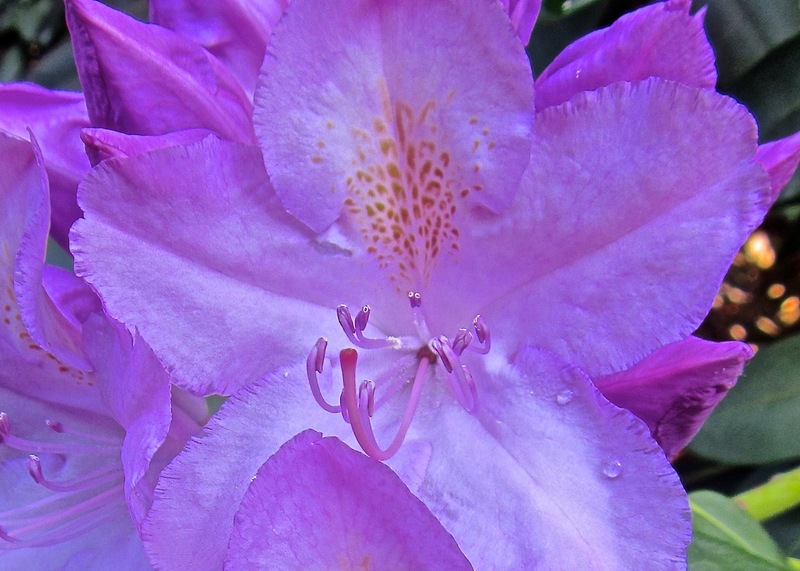 This entry was posted in Horticulture and tagged New England, Rhododendron by Annie. Bookmark the permalink. Read Mark Trail in the funny papers today (Sunday). These beauties are native to all but two continents. On Friday, I phoned the North American Rhododendron Society to find out why my ten-plus year rhodie seemed to be failing. This fine lady who answered was sharp enough to make the diagnosis over the phone! Richmond, VA: too much heavy clay; lift it with a digging fork, add composted pine bark mulch, and treat lightly with Hollytone now, and again in July. This knowledgeable lady happened to be in Toronto! Yours in NH need nothing! Beautiful! What fun, congratulations on your adoption! 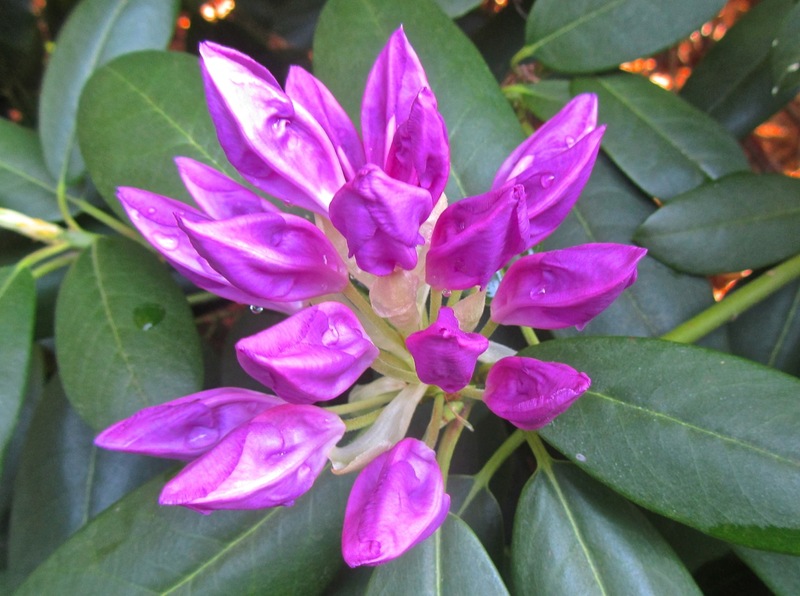 How odd the advice from the Coop Extension — I very much associate rhodies with New England as they provide deciduous color during winter, though it does seem fewer people are planting them due to deer populations. I remember trekking in Nepal, and passing through a forest of rhododendrons trees! It’s interesting that the blooms looked lilac at first, but have lightened to a lovely shade of pink. I see lots just like them around town. I guess there are many varieties out there around the world and the Coop was saying most aren’t suited to our zone. But what we have around here are PERFECT for this climate. I had them but could not keep them alive in the heat and salt and sand of Tidewater VA. I love looking out the window at the massive blooms in the borders here! That is crazy! There must be hundreds of rhody cultivars perfectly suited to northern New England, most of them evergreen. 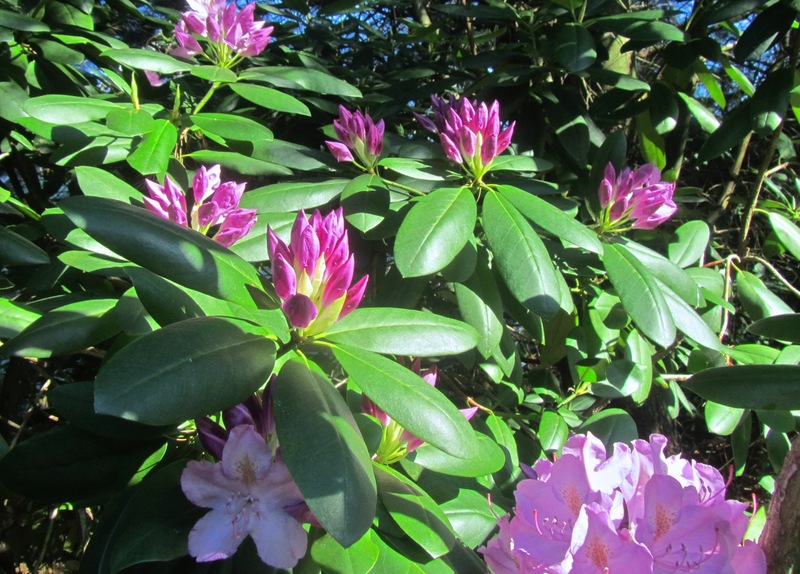 In fact, the largest evergreen rhododendron species, rhododendron maximum, is native to NH and the largest natural grove of them are right down the road from you at Rhododendron State Park in Fitzwilliam! 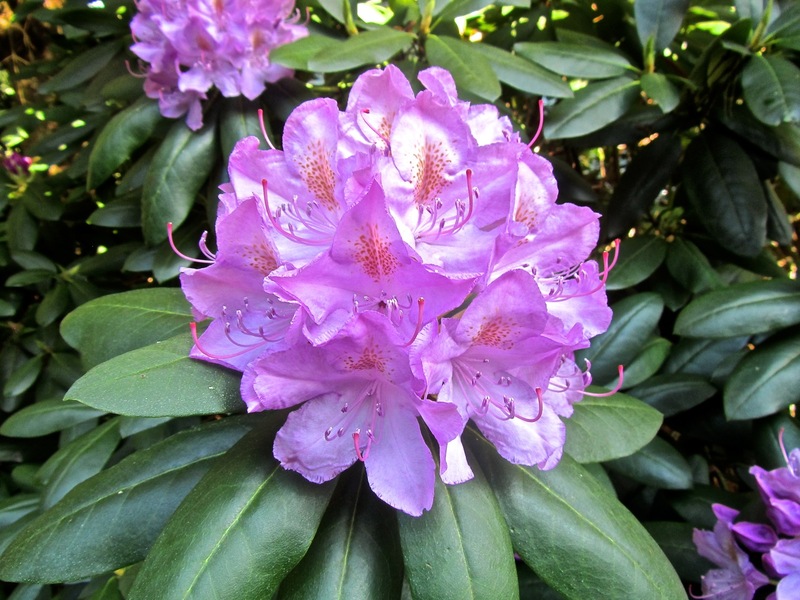 http://www.nhstateparks.org/explore/state-parks/rhododendron-state-park.aspx. Also, rejoice! Exeter is officially in zone 6a according to the USDA, not zone 5: http://planthardiness.ars.usda.gov/PHZMWeb/Images/72DPI/nh.jpg Almost everything that will grow in zone 7 in the Upper South will also grow in zone 6, from Southern Magnolias to Crape Myrtles to Cherry Laurels to American Hollies to Needle Palms, though usually slightly smaller and slower growing (and sometimes requiring protection when young). Check out my Pinterest board with over 200 species of plants that you, as a Southerner, will have fond memories of, and that will thrive in New England. Why more of these aren’t widely available in New England is largely a matter of ignorance and us Yankees having a hard time giving up what is familiar and “traditional.” If you need mail order sources for some of these plants, let me know. You’re welcome and enjoy! If it isn’t fun then it isn’t worth it, right?